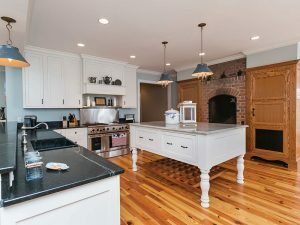 In a time when true craftsmen are few and far between, Peter E. Hanlon, Inc., general contractor in Easton, is offering homeowners quality features that make his construction stand out. Whether it’s renovation work through his construction business, or custom closets through his 10-year old company Choptank Closets, Peter’s details in custom cabinetry, intricate moldings, painstaking craftsmanship, plus the finest materials, are among the features of his work. Peter has over 35 years of experience in construction. He began his career in a union apprenticeship program for carpentry in New Jersey. He gained his contracting skills while working in construction in commercial buildings. After his parents retired to the Eastern Shore, he decided to move his young family to the area as well. He was familiar with the Eastern Shore as he had attended Washington College. 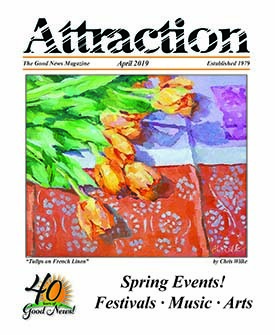 After managing residential construction for Willow Construction, he decided to take the plunge in 1989 and start his own general contracting company, Peter E. Hanlon, Inc.
From million dollar homes, to renovations, to updated kitchens and bathrooms, Peter considers the wants and needs of the client and produces livable art. His projects have included the restoration of the Easton Railway Station, the St. Michaels firehouse, a remodel of the Pasadena Inn and the Old Brick Inn, and the Chesapeake Maritime Museum ticket pavilion. 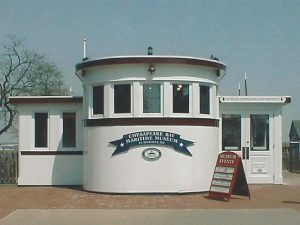 The iconic Chesapeake Bay Maritime Museum’s ticket pavilion was one of contractor Peter E. Hanlon’s early projects, after starting his business on Maryland’s Eastern Shore. His love of carpentry is still important to him today. He is wrapping up his current renovation project, a wood frame house built in 1923 in Chincoteague, Virginia. The property at 6551 Church Street in the heart of Chincoteague was a rental property and will continue as one once the project is completed early this summer. Peter bought the Chincoteague property in October 2015. The house sleeps 12 and has five bedrooms and two baths. The second phase of the project will include additional bathrooms and a screened back porch. He worked with the architectural firm of Christine Dayton, as well as her associate Josh Startt, from Easton, to create more of an open-concept living space in the house. 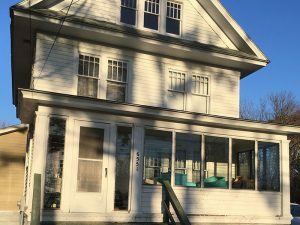 While the project needed such updates as a new kitchen, central heating and air conditioning, and new septic and electrical systems, Peter has been able to preserve many original features of the house, including its woodwork and Craftsman-style windows. Peter was committed to working with local craftsmen from Chincoteague, including Boggs Sewer and Septic, Hickman Heating and Air Conditioning and Dale Holston, a third generation electrician. He also used local Easton talent, including carpenters Ed Sosa and Mark Fleetwood, painter Amy Lord, as well as Solid Tops. Peter’s wood shop, run by Mark Fleetwood, supports his residential renovations and custom cabinet business. Peter partners with Patti Capri with Choptank Closets, where they do approximately 100 custom closets a year on both the Eastern and Western shores. Ed Sosa manages the closet installations. Peter also creates custom furniture for clients, such as Murphy beds and boat furnishings. While the Chincoteague property will be ready to rent for the summer season through VRBO, Peter is looking forward to spending time at his new vacation home, which is within walking distance of all of the amenities of downtown Chincoteague. 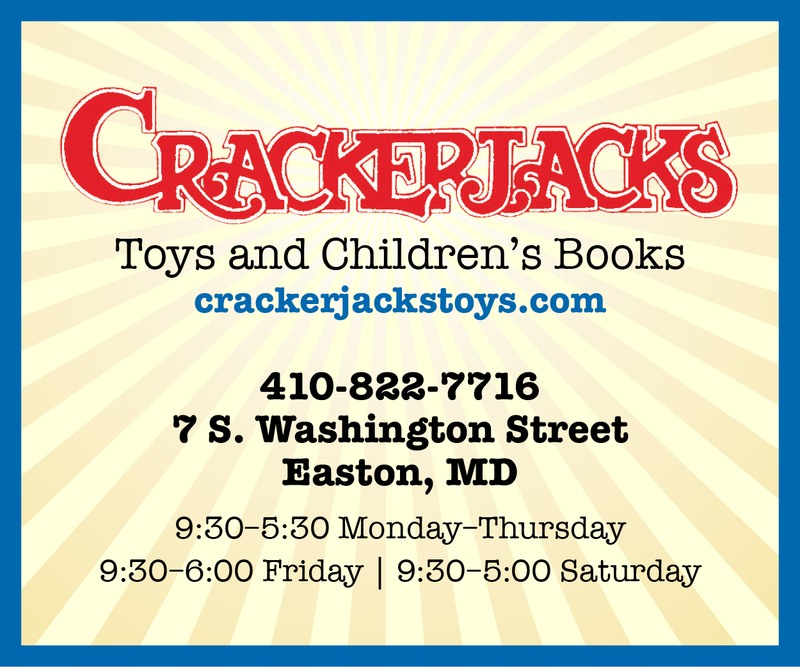 For further information about Peter E. Hanlon, Inc. or Choptank Closets, call Peter at 410-819-3334.